A Halloween/Harvest Party has been a tradition in our family. Here in this country they do Day of the Dead which is mostly a religious holiday celebrated by Catholics. It is very different from the fun, light hearted celebrations we have so we have stuck to our simple, "let's celebrate fall and eat lots of goodies" type of party. In the past I have tried to be innovative in my decorating to come up with some kid friendly fun ideas because our boys are young and blood and guts scare them. 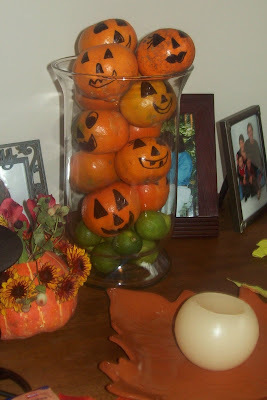 These are some of the kid friendly Halloween party ideas I have come up with and others are from BHG. Last year, I went with the purple, orange and black theme and the year before it was a Pumpkin Patch theme lots of pumpkin and hay. Use a melon baller and cut an insert in the middle big enough for a tea candle. 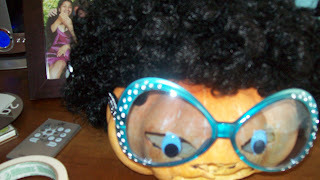 Glue wiggly eyes to the pumpkin and ahead of time make 4 small holes on the bottom to insert pipe cleaners for the legs. Worm Juice- Gummy worms on the edges of the punch bowl. I taped to the outside of the bowl eyes. Lolipops covered in orange tissue paper and pumpkin faces drawn on. Hotdogs wrapped in frozen biscuit dough or dinner roll, crescent rolls also works and then bake. 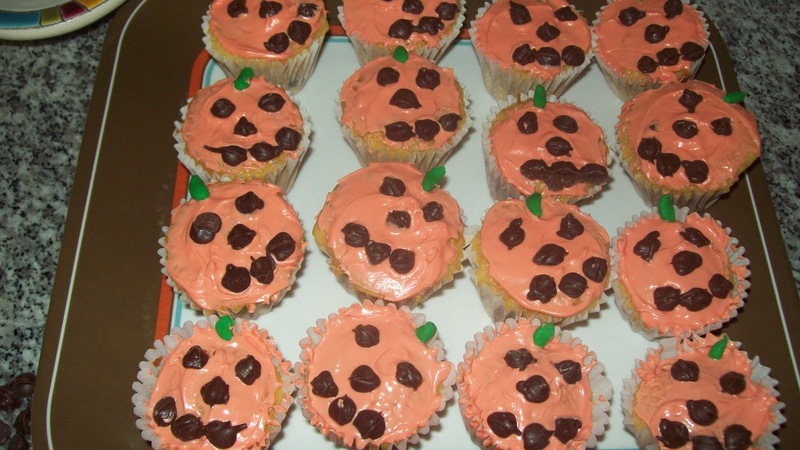 Pumpkin cupcakes using choco. chips for the face and green fondant for the stem. 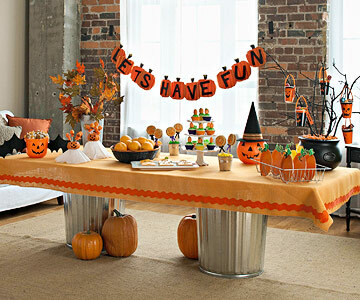 If you go to http://search.bhg.com/search/s?q=halloween+party+ideas it has a list of different themed Halloween parties and free printables. The large professional looking pictures posted above are also from BHG. Wow, you found some amazing ideas! 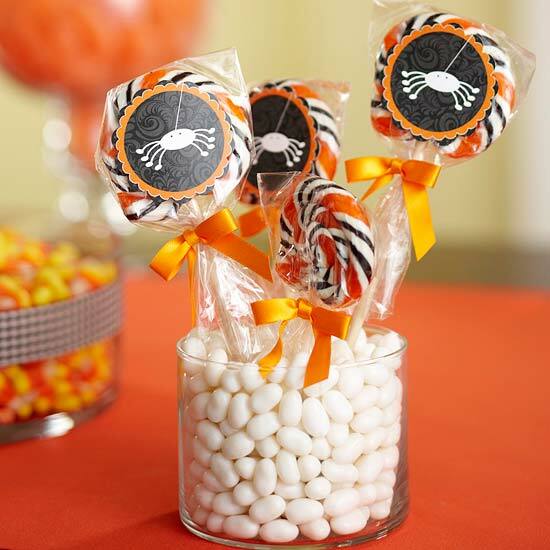 I am going to pin a couple of these to my Halloween Pinterest board. Thanks for finding them! Fun ideas! If you get a chance, I'd love to have you link up! (http://scrapbookingez.blogspot.com/2011/09/one-stop-thursday-linky-party_22.html) Thanks for sharing! Love! 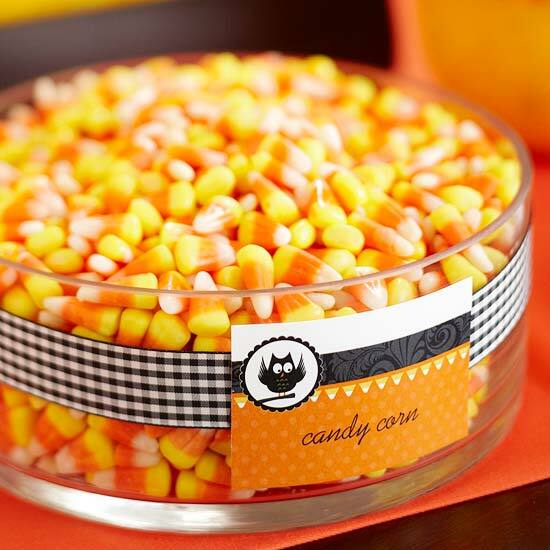 I would be thrilled if you would join my Wickedly Creative Halloween Ideas Party! 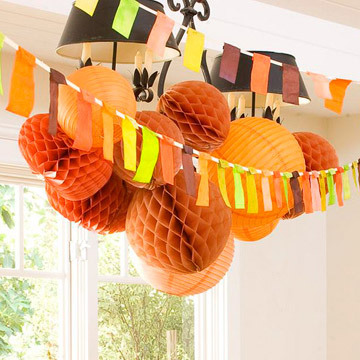 Wonderful, love the apple teethe and those pumpkin spiders. I would love for you to share all of your brilliant ideas at Bacon time. The linky will be up until late tonight. Thanks for sharing this great craft ideas. 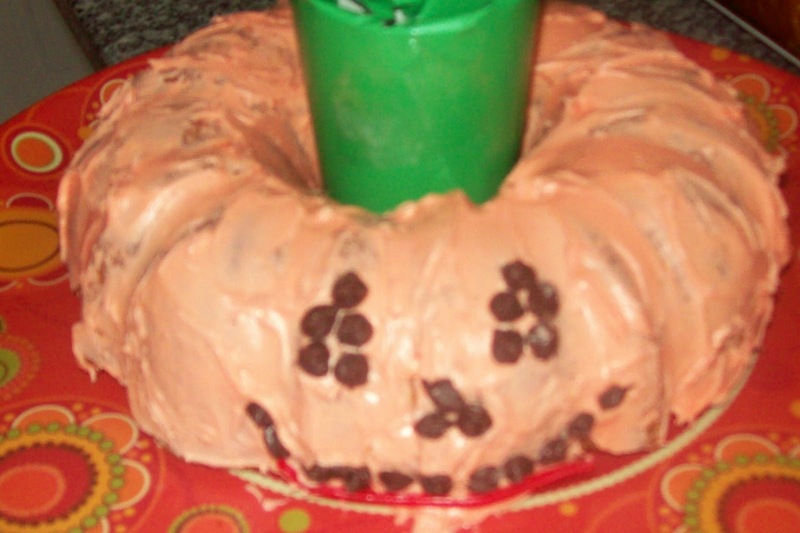 I love the Halloween recipes. I'm visiting from Inspiration Friday. I hope you take a visit at my blog if you have time. Oh those pumpkin spiders are so cute! I'd love for you to share them at my Halloween link party. Doors open 7am CST Oct. 1st! All great ideas. 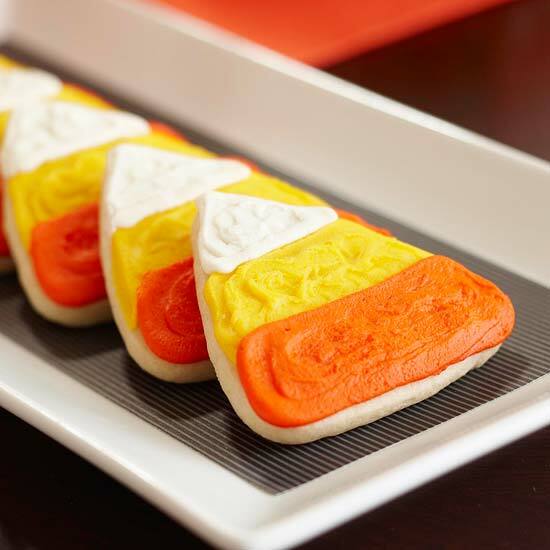 Love the candy corn cookies. Thanks for sharing at Bacon Time. Thanks ladies, I had so much fun with these silly party appetizers and games! Where did you find the orange drinks? I have looked at a couple stores and I am not having any luck. Thanks! This looks like so much fun! The treats look delish! We'd love if you'd share with our Countdown to Fall link party! Hope to see you there! Happy Weekend! I am having a halloween birthday party for my girls and I came across your blog. I love the orange punch bottles with the sharpie pumpkin faces. Can you tell me the name of the orange punch and where you purchased them? Anonymous, This was so long ago that I don't remember either. But really could could do this with juice boxes and just cover it with orange paper and draw a face or you can do it on a clear plastic glass and draw the face and fill it with orange punch. I plan to celebrate this year and make it the best halloween party nyc for my kids. These are great ideas and I’m going to borrow some of them, thanks so much for sharing. Hello! Just wanted to let you know that I linked to your post in my blog :) Thanks for sharing your awesome ideas!! Nice , Halloween in London always celebrated as a big event. Join Halloween Parties In London 2016 And Let's Make this Halloween Special. 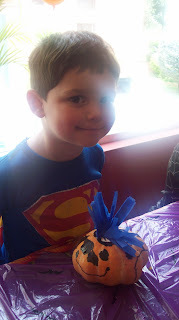 I must thanks to you for this great work about the Halloween pumpkin it's so nice and great well done. Thanks for sharing this valuable ideas. You can find more ideas for baby parenting here..
Are you looking for happy halloween Day 2018 image with name? Online wish anyone happy halloween day with name your friends and family on Instagram, Whatsapp & Facebook.Online Generate Upcoming Happy Halloween Day Trick Or Treating with Name Picture into My Name On Pics.